The 6th Annual Brome Lake DuckFest also known in French as "Canard en Fete au Lac Brome" is starting this upcoming weekend and the preparations of organizers which have gone on throughout the year are coming to fruition. The excitement and anticipation of visitors who have planned their vacation in Quebec for the incredible Duck Festival is at a peak and the village of Knowlton is preparing for the thousands of tourists who will flock to the town for the annual event. The Knowlton Duck Festival, even though it is a relatively new celebration, only 6 years old, has become one of the largest attractions for Knowlton in the last few years. Of course the popularity of the fall celebration is due in part to our beautiful folliage this time of year, when the trees turn a vibrant flaming explosion of reds organges and golds; but the village of Knowlton is also the perfect setting and our hospitality and friendliness has made this annual event one of the prime reason for folks to visit the Eastern Townships in September. And let's not forget the ducks! The ducks are really the star of the show for the two-weekend extravaganza! People gather in Knowlton to taste the newest duck creations from world class chefs and to enjoy the signature hospitality that is is Knowlton. The Duckfest is expectng up to 50,000 visitors over the two-weekend event as people from all over Quebec, Ontario, Vermont, New York and around the world travel to the Eastern Townships for the Brome Festival of Ducks. The beautiful village of Knowlton is literally transformed into a pedestrians paradise as the streets are filled with tasting booths, music, artists and displays by world renowned chefs demonstarting the fine art of cooking with duck. Every day from 11am to 5pm best chefs from the region and invited stars of cooking will descend into the village center to demonstrate cooking techniques, share duck recipes and if previous years are any indication, the streets of Knowlton will be full of people who are eager to share their delight in enjoying fine food and wine. Not only wine will be accompanying the freshly cooked duck but local producers of ciders, fruits, breads, jams and honey will be on hand to sell their unique regional produce. You can taste a full range of home-grown produce and it doesn't stop there! The Knowlton streets will be filled with artists from the region, across Quebec and beyond displaying their talents and unique creations. 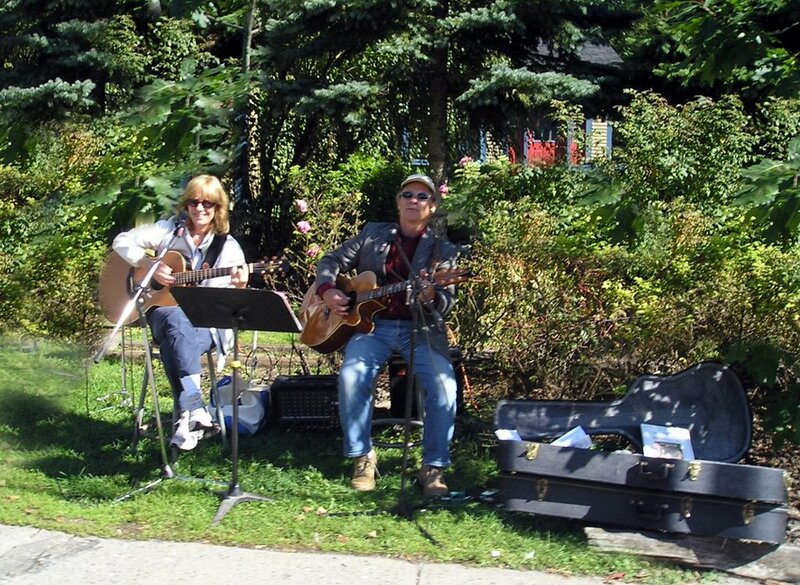 Strolling about the village of Knowlton, as you enjoy the beauty of the ColdBrook trail and Victoria street and the central village of Lakeside and Knowlton Road, you will have music on many street corners. 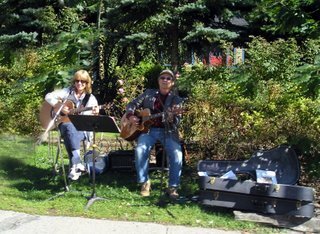 From tradtitional Quebec music to well known folk songs the duck festival has everything from old-fashioned accordian music to classical. With the closing of streets in town it is the perfect ambiance to walk, talk and meet friends and strangers as the village turns into one giant party. 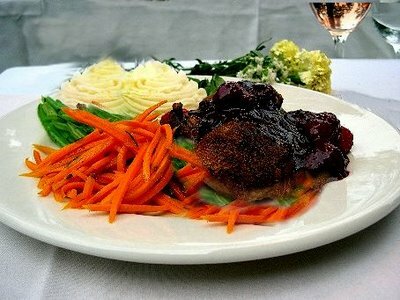 The popularity of this fall event has lead to the start of what some local businessess are are christening the "The Month of the Duck" in Brome-Missisquoi which represents some two dozen different restaurants that are celebrating Brome Lake's famous duck along with the region's many wines on their menus throughout the month of October. Knowlton is actually on the tail end of the regions Wine Route and the area is well known for fine wines, ice ciders and specialty produce and incredible locally grown meats and perveyors of international cheeses. While the hungry fans of fine duck cuisine are busy investigating the latest creations being demonstrated by a chef in front of the Auberge Knowlton there will also be fun for the youngsters of the family who may prefer to see some barnyard creatures and have a trip to the petting zoo. The Duckfest will have fun and activities for the children throughout the busy two weekends. This year promises to bring the event into a whole new level. The sophistication of the events and the quality of the invitees to the Lac Brome Festival of Ducks has improved every year and the organizers should be proud of this year's event! The succulent Brome Lake Duck has always been one of the specialties of many of the of the chefs the Eastern Townships and during the annual Duck Festival they always seem to present some new and original duck recipes as well as the favorites and classic dishes. With this season's harvest in full swing the timing is ideal to combine duck with a full spectrum of our region's freshest produce. The food combined with the people who attend make this festival the ultimate holiday getaway for those of us who insist on gastronomical sophistication. 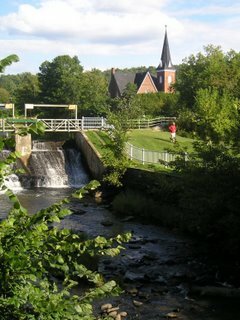 Knowlton area restaurants participating in the Festival include: Auberge Knowlton/Le Relais, Auberge Lakeview, Au Trois Canard, Etchea Cafr-Restaurant and Le St-Martin; in Foster, the Auberge du Joli Vent and Auberge Quilliams; in West Brome, the Auberge West Brome; le Gastronome in Sutton, Owl's Bread in Mansonville and the Chateau Bromont in Bromont. Some of the well-known, classic duck recipes like Breast of Duck With Raspberry, Duck with Sliced Smoked Duck breast stuffed with Mont St-Benoit Cheese, Duck Legs in a Salt Crust,Duck with Apple and Gingerand Brome Lake Duck Tartare and Carpaccio, with Rose and Eastern Townships Benedictin Blue Cheese are sure to served but often the local and invited chefs create stunning new dishes that are simple unbelievable. The Duck Cookbook : Few ingredients are as intimidating to the home chef as duck. But with the guidance of award-winning author James Peterson, anyone can learn to prepare this incredibly versatile, flavorful bird. The Duck Cookbook is the only complete guide to duck. 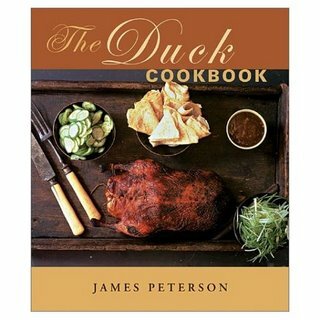 With his signature style, the author explains the different varieties available and the best cooking methods for each part of the duck. Chapters begin with lessons on a single cooking technique-from sautéing to smoking-then move on to specific dishes such as soups, salads, and confit. The perfect gift for the adventurous cook with a spirit of adventure. Started in 1912 on the western shore of Brome Lake, the Brome Lake Duck farm is the oldest duck-breeding farm in all of Canada. The native New Yorker who started the farm just before World War 1 chose to breed Peking duck; a large-bodied white duck with a distinct yellow bill and feet, as well as delicious meat which had been first imported from China to the United States in 1873. Family later moved the farm and its buildings to the other side of the lake and the farm was set up in an area where the ducks could swim freely in the lake during times of summer heat. Now one of the largest employers in the area the farm has annual production that is close to 3,000,000 ducks which are imported to food service industries around the globe including Asia, South America and Europe. Some residents decry the festival portrayal of the cute and happy ducks as completely un-realistic considering the factory farm nature of the common poultry production plant. To them, the images of free running ducks happily quacking and ruffling their feathers in the rain is not quite the reality of todays production-line farms and some object to the yearly portrayal of happy ducks who seem to relish the possibilty of ending up on a dinner plate as a Disney-esque fantasy. 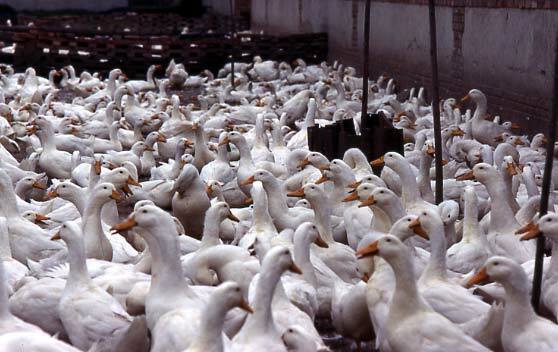 The crowded conditions of the modern poultry farm are what some radicals consider to be more a place of cruelty than a cartoon vision of ducks happily quacking. Small farms with limited commercial infiltration may be able to afford to use farming techniques that allow for free-range conditions but a large food plant with international clients hungry for their products in increasing numbers must use the often contreversial system of production. While residents of Knowlton regularly see large trucks hauling live ducks to the Brome Lake Duck Plant in crowded, caged trailers, it is important to note that most meat-producing industries have been criticized for their cruelty by animal rights groups and to single out our Duck Farm is un-fair. There are of course people who dismiss the festival as nothing more than a gimmick to have people visit the area but the same could be said about almost any festival in Quebec and after all isn't that the idea of creating a unique event? The Knowlton business community with the Chamber of Commerce are trying new and innovative ways to bring tourists and their dollars into the region and it is hardly fair to paint this desire as a some sort of "gimmick". Montreal has their Festival of Lights which is a mid-winter festival that was created solely to help local merchants through a typically quiet tourist season and Granby has a Song Festival that is designed not only to showcase talent in the area but also to have people visit and put the town on the map. There is nothing wrong with that and Knowlton, being a unique and lovely town, should not be looked down upon for creating the Duck Fest. 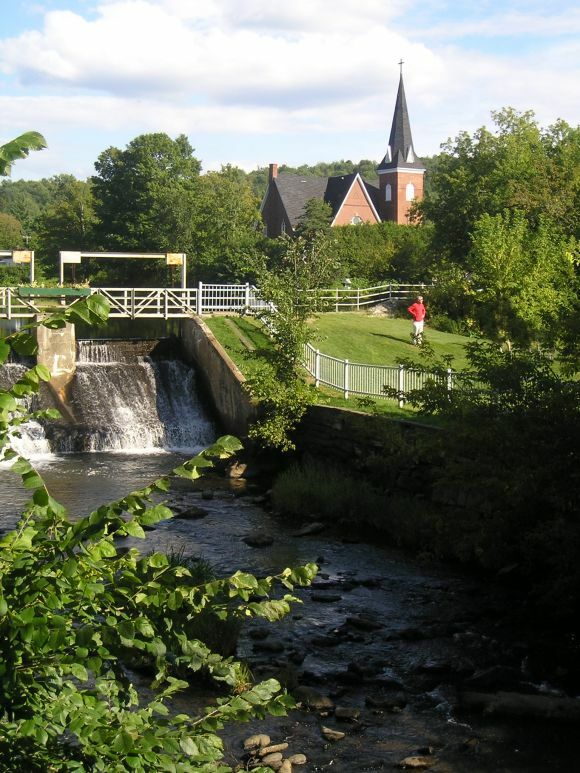 As many large industries leave small Quebec towns it is such forward-thinking and innovative solutions than can help restore an area's economy. Surely we deserve bouquets not brickbats for the creation of the popular Duck Festival! The 2006 Brome Lake Duck Festival is surely to be one of the most popular ever, we look forward to seeing you there! Was dumping thousands of bits of plastic into the ocean such a great idea? It's for a very good cause -- a community clinic -- but not doing it is a very good cause, too. In our part of the Pacific Ocean, there's six times more plastic than plankton -- six times. Along the North Pacific shores, a hundred thousand sea mammals are killed every year from gobbling plastics that they thought were edible. The plastic poisoning of the oceans isn't getting better, and the once-amusing spectacle of tides full of yellow rubber ducks isn't helping. We're a smart country -- if we can stamp out crackers shaped like goldfish, someone can come up with an edible, floating, ocean-friendly food substance and make it look like a duck. Because otherwise, in this case, if it looks like a duck and floats like a duck and quacks like a duck -- it's deadly. Seriously - why isn't dumping this much plastic into the ocean against the law?